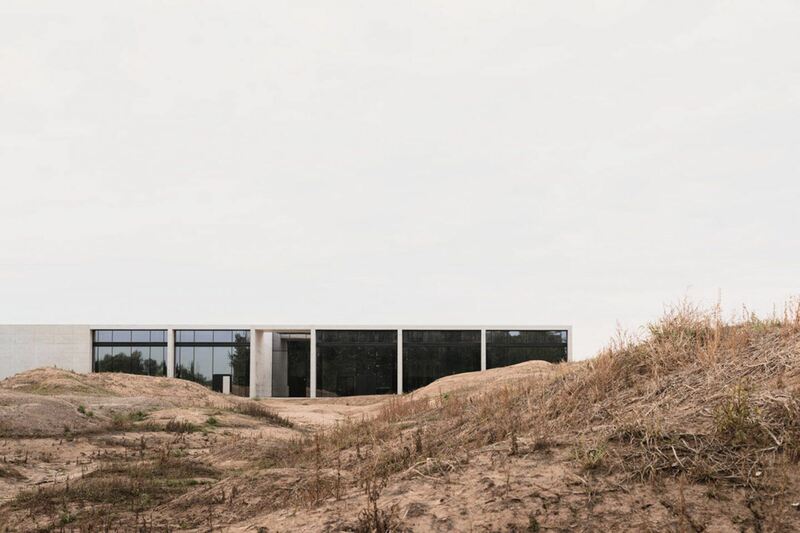 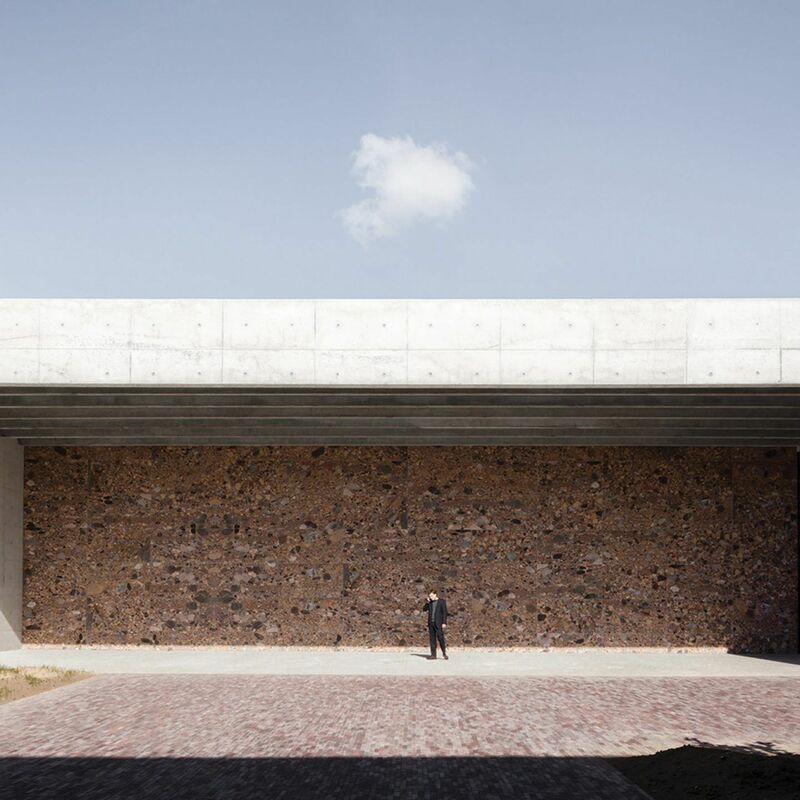 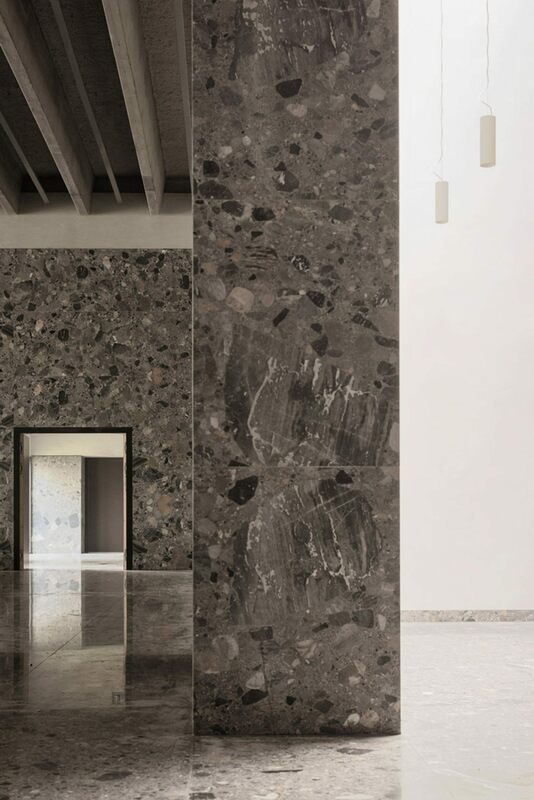 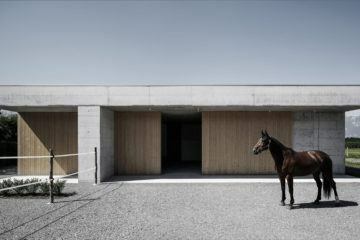 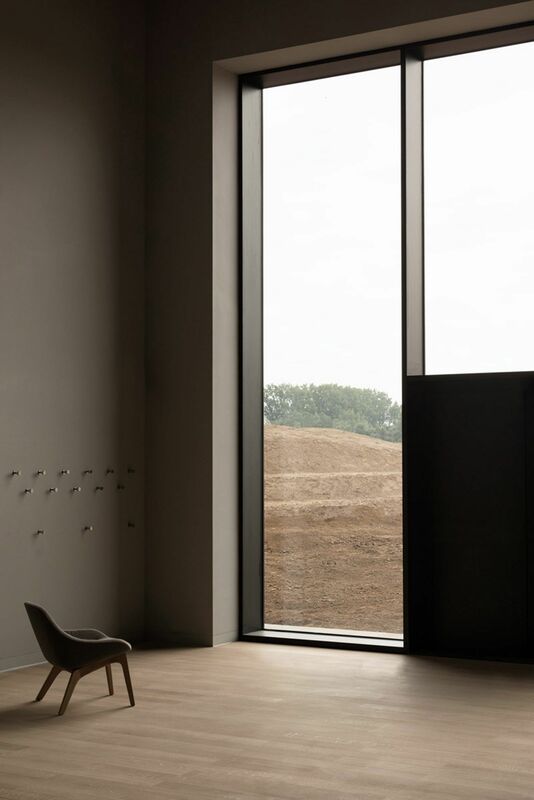 In the countryside of Aalst, northwest of Brussels, Dutch firm Kaan Architecten has finished the construction of ‘Crematorium Siesegem’. 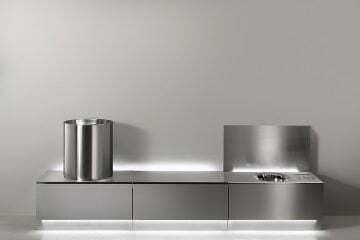 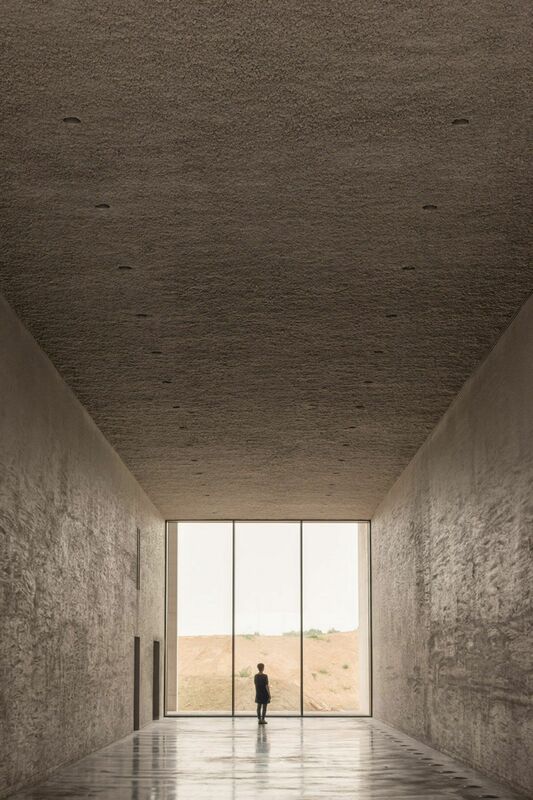 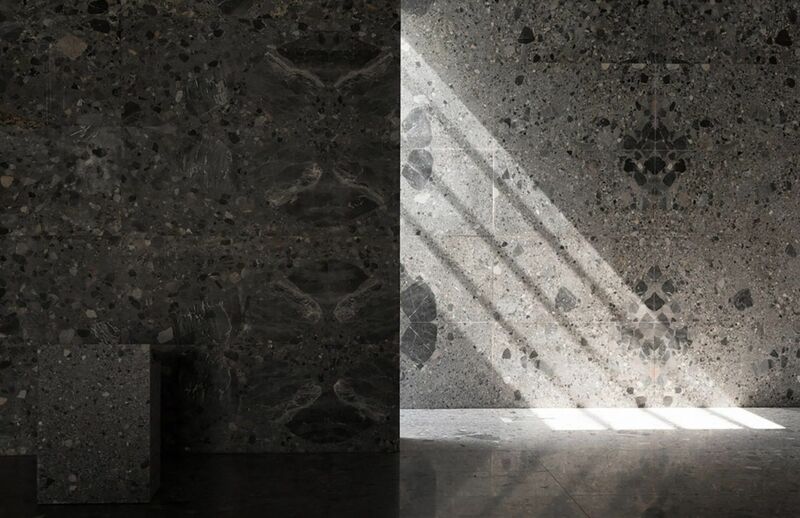 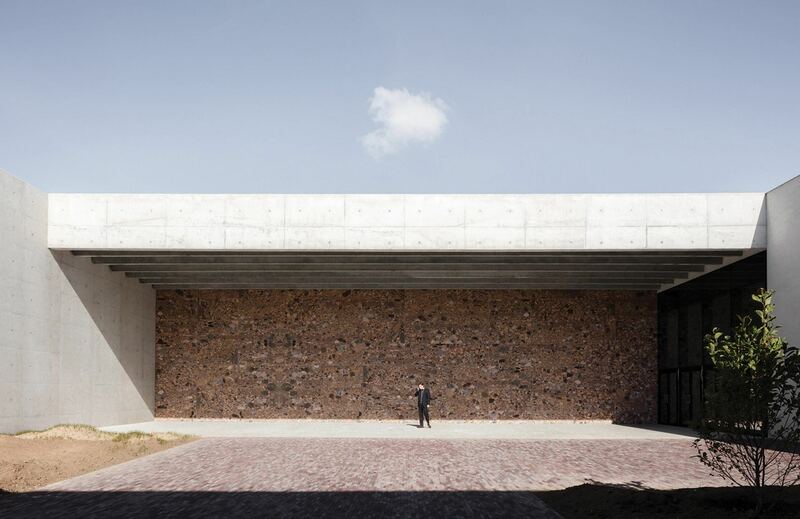 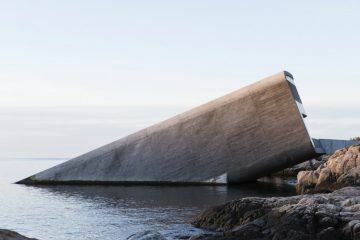 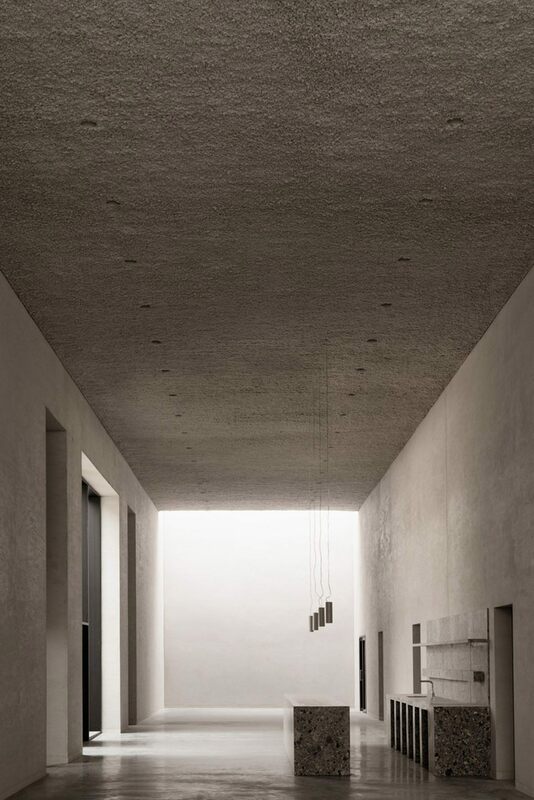 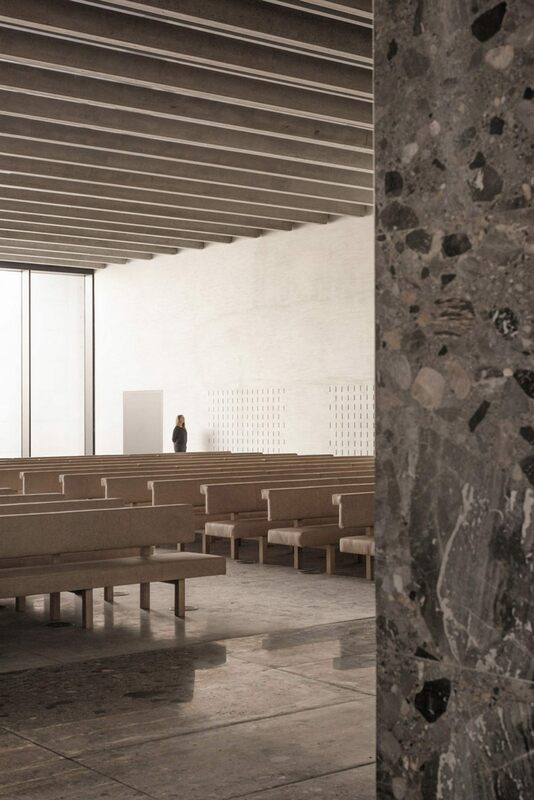 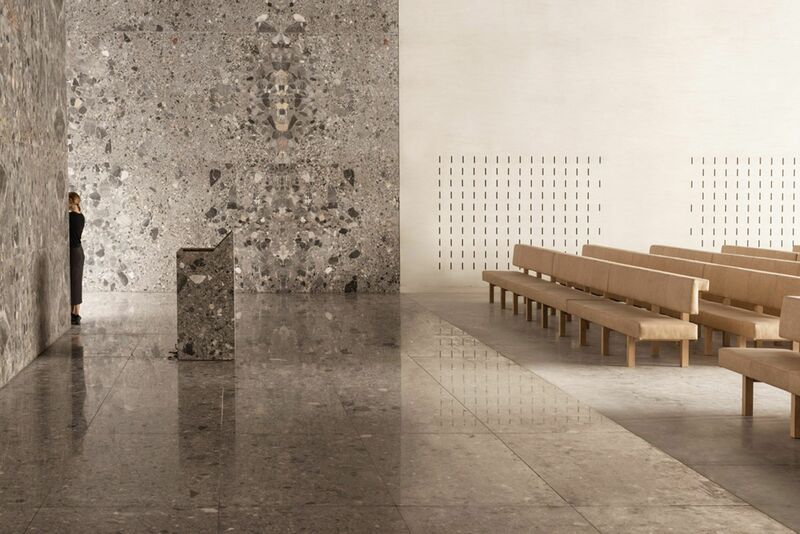 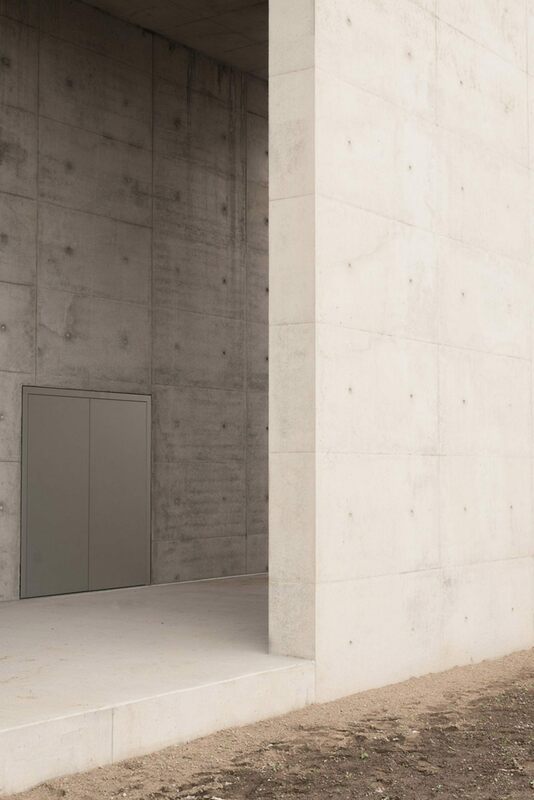 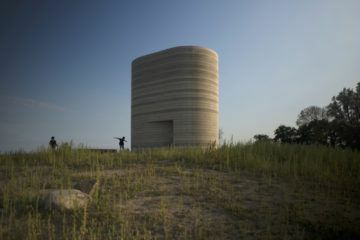 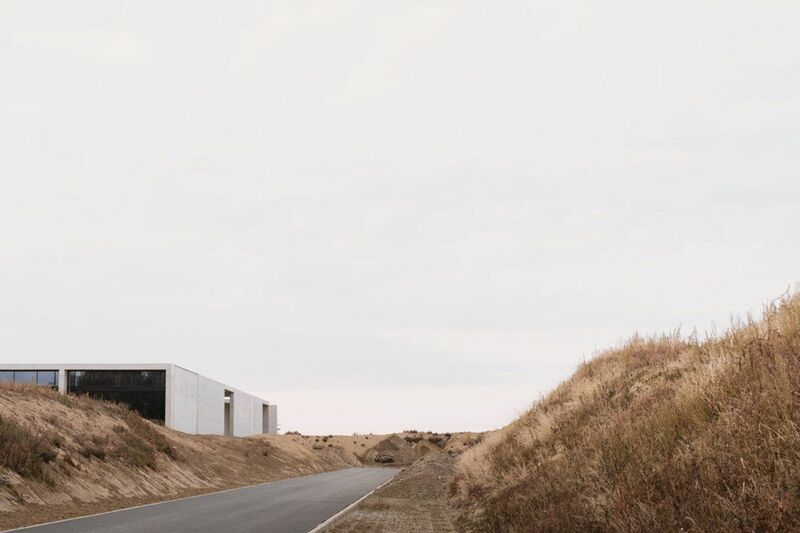 This minimalist architectural building has been designed for funerals and cremations; providing guests with tranquility and contemplation. 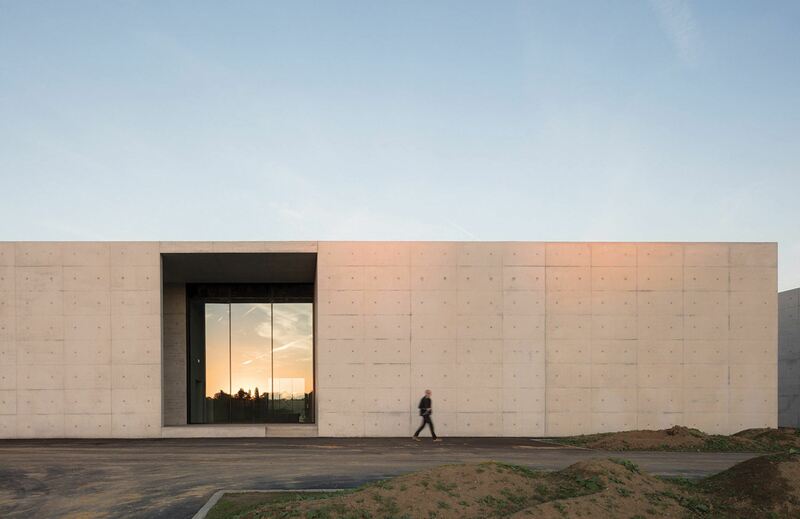 According to the architects, the goal of the design was to create a modern venue “capable of internalizing the landscape so that its tranquility could console visitors and provide strength.” The “Its tranquility could console visitors and provide strength”crematorium consists of a large rectilinear volume made from blocks of unfinished concrete, with extensive internal corridors with six-meter high grey marble walls. 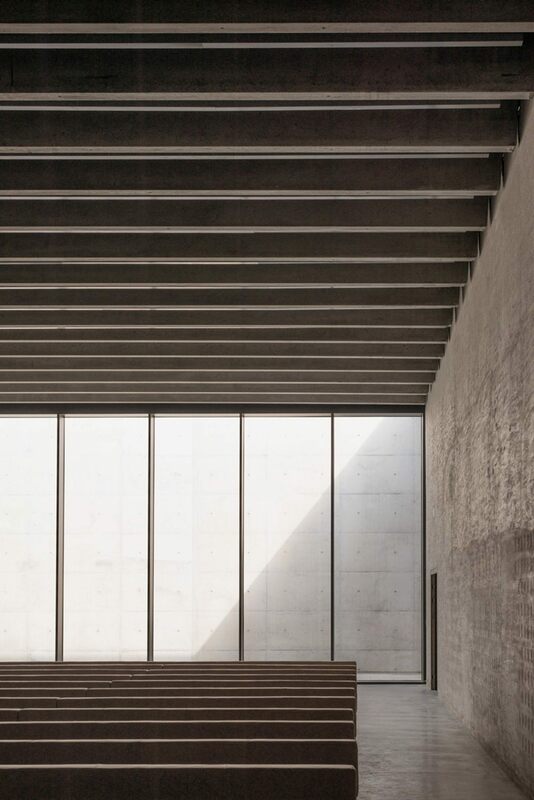 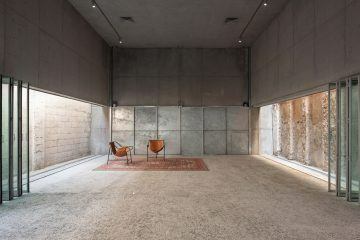 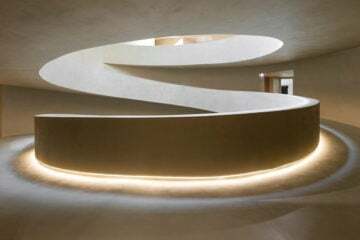 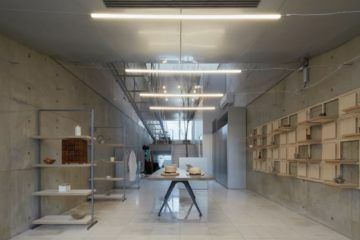 The reception area leads to two main ceremony halls, condolence rooms, and a cafeteria, with a natural color palette that aims to maximize calmness in visitors. 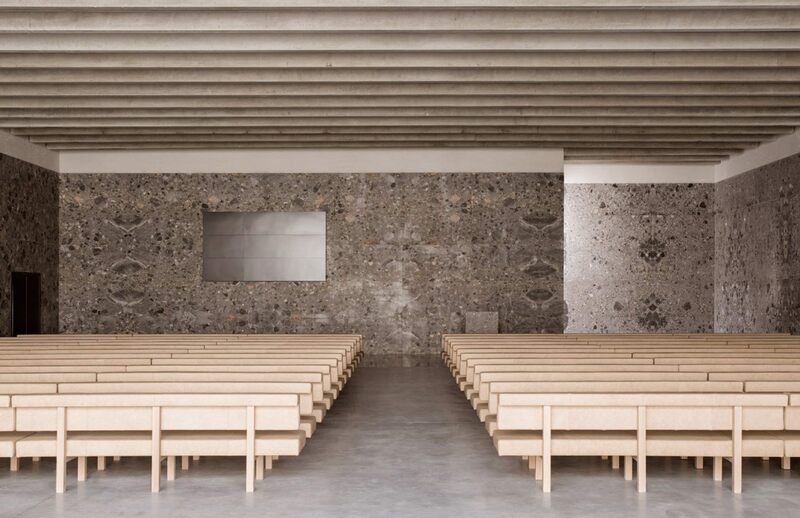 In the ceremony halls, beige leather seating is a visual reference to sand, and large glass windows overlook internal patios filled with greenery, let natural light in. 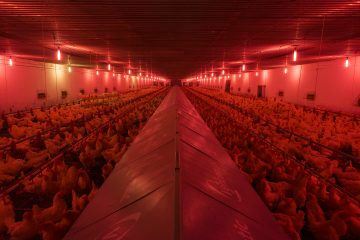 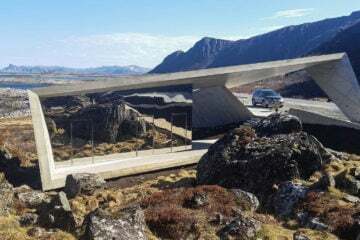 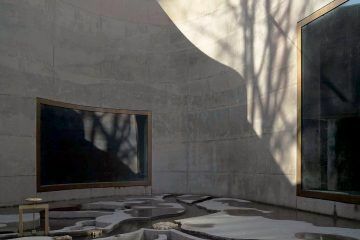 This architectural decision was strategically made to provide an experience of light and nature that can help to alleviate the intense grief that is experienced by the bereaved.